Ariana Hotel Kashan is the first and only historic hotel equipped with spa in Kashan, Iran. It is located in the historic context of Kashan on Mola Habibola Sharif street. Ariana Hotel Spa has two saunas and a massage room in the second courtyard. 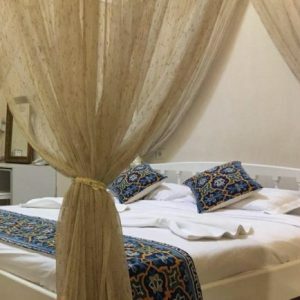 A variety of Iranian and foreign traditional massage is offered .Ariana Hotel Spa has bride-and-groom rooms, mosquito net beds, family rooms (two connecting doubles), and VIP rooms to offer luxurious hospitality.